DecisivEdge’s Data Science as a Service (DSaaS), is a managed service where we take on the model design, development, and validation on behalf of a customer. 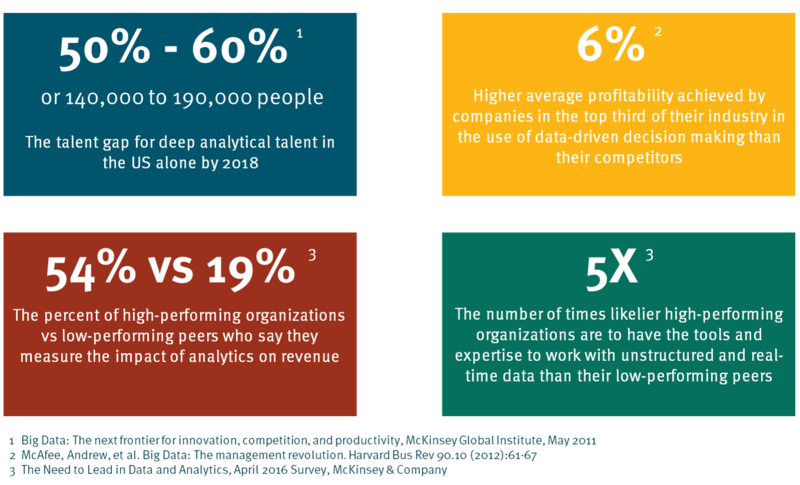 DSaaS is an attractive option for organizations to cope with a shortage of data scientists and other skilled data analysts. It gives organizations access to analytics resources for specific data science applications without requiring them to hire or invest in their own data team. This enables small to mid-sized enterprises to gain experienced data scientists and analysts to tackle one of your most valuable assets, your data. Our data-science team is based in the US, Canada and India which allows for us to overcome some of the resource constraints in the US market and improve affordability. 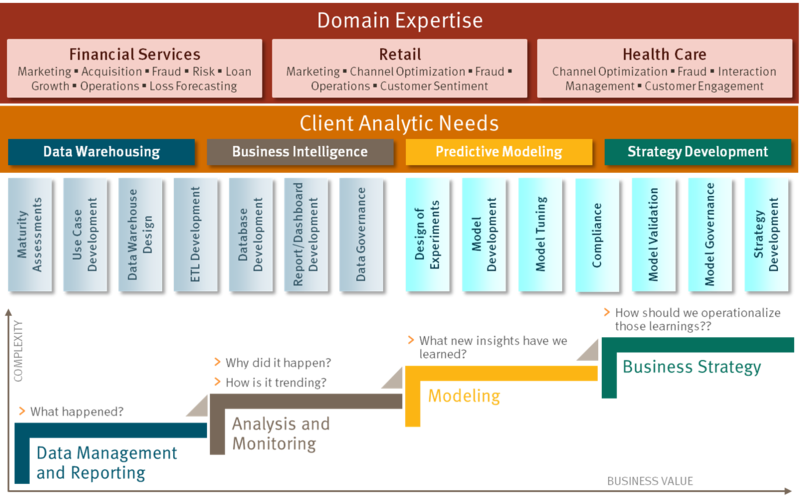 In financial services, data scientists specialize in key business problems such as Risk Management, Marketing Optimization, Chanel Optimization and Call Center Management. DecisivEdge provides skilled experts to support your business and enhance your bottom line. In health care, our data scientists tackle problems of medical cost management, medical fraud, repeat ER visits, disease identification, and prescription adherence. 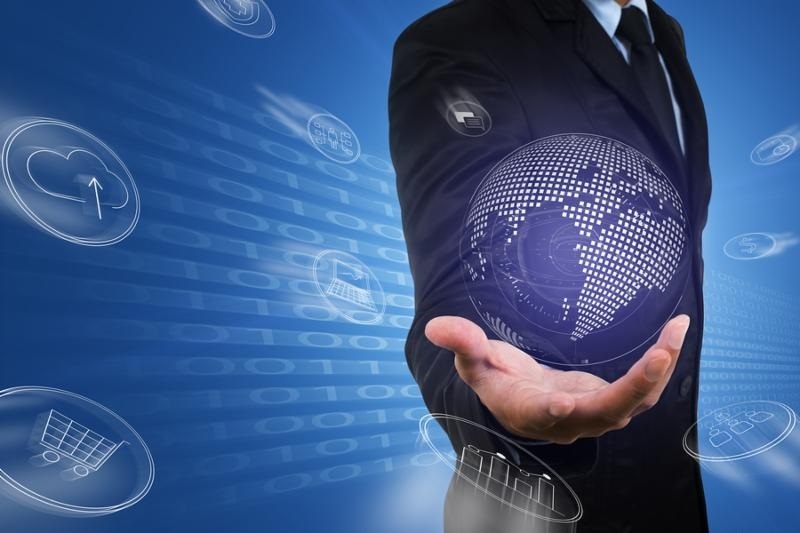 Our experienced experts can examine these problems from a multi-dimensional view which will provide more actionable solutions that will impact your bottom line. A national bank with $16B in loans was challenged to recruit and retain data science and strategy resources. DecisivEdge structured a Managed Service offering with fractional US based oversight and a team of six data scientists in India. The DecisivEdge team works as an extension of the bank team and has been engaged in both risk and operations modeling and strategy. Also check out our Data Science Spotlight page to read more Case Studies! The data that floods your company has stories to tell – let our data scientists help you discover a narrative beneath the tide. The data race is on and companies will succeed based on their ability to make data-driven decisions better and faster than their competitors. Data alone provides little value to businesses without the expertise, tools, and experience to know what questions to ask, how to uncover the right patterns, and the skills to make predictions that lead to purposeful action. To learn more about our Data Science as a Service or other data science and analytics needs – connect with our DecisivEdge Data Science team by completing this brief contact us web form.